Easily try this handy and professional UI wireframe software for various iPad applications. Start your own wireframe design creation with this convenient and time-saving software today. 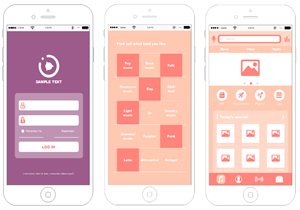 Wondering which is the effective way to create your iPad UI wireframe? Wanna offers an unique user experience? 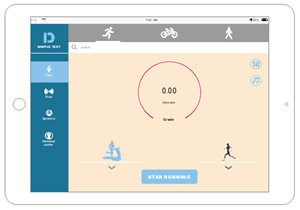 Want to show your productive functionality based on your content, layout style and navigational buttons? Then simply refer to this article for a handy and advanced UI wireframe software. The advanced wireframe software offers you the great opportunity to taste rich sets of fully editable vector icons, symbols and templates. You can also try its auto-create tools to quickly align your items in groups or switch between themes. What's more, the software allows you to easily import or export to many formats, one-click share your work on SNS, or do teamwork projects based on the built-in cloud system. With all of these attractive features, you would surely enjoy the creations of wireframe with this highly efficient UI wireframe software on Windows, Mac and even Linux operating system. Creating clear and informative wireframes with the UI wireframe software is fun. 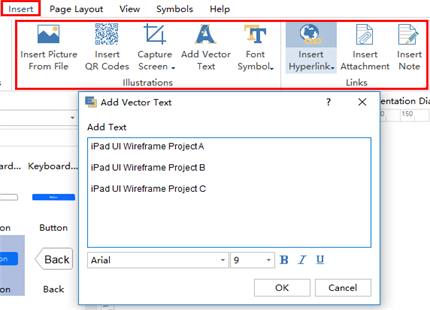 You can drag and drop any of the preset wireframe symbols on your drawing board to further personalize texts, fonts, colors, positions, layouts, and the overall theme based on the auto-create tools. You can benefit from many exporting, importing and sharing choices. 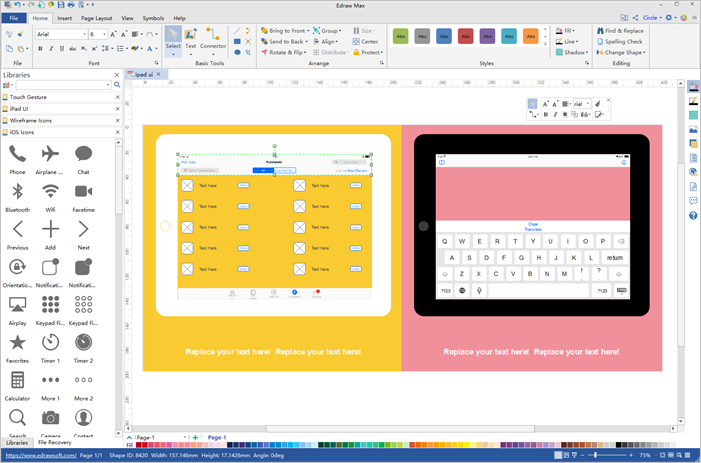 Once finished a creation, just export to formats like PDF, MS Word, PPT, HTML, SVG, Graphics etc. If you wanna more feedback, you can one-click to share work based on a link on different SNS platforms. The UI wireframe software provides a great convenience to any kinds of your wireframe teamwork. 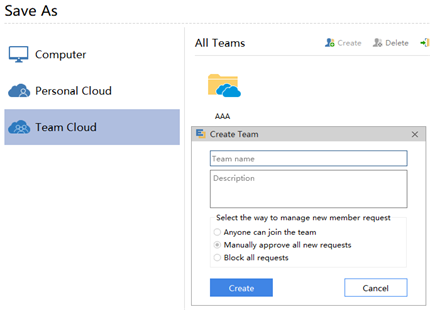 You can easily manage team files by creating or joining new groups. Furthermore, as a team leader, you can quickly approve requests from external members or business partners. Inserting supportive materials are no more than a few clicks. You can choose to add external images, QR codes, special symbols, hyperlinks, attachments, notes and more. For each of your notes, simply edit the text sizes, fonts and colors to highlight the important part. 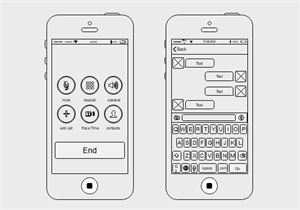 The iPad UI wireframe software has abundant standard wireframe symbols for you to easily and clearly illustrate various functions. Feel free to check out some of these built-in innovative elements in the following sub-categories: the iPad user interface design, the text boxes and button design, the general vector iOS icons, the common touch gesture symbols and more. Explore more handy iOS wireframe templates in the UI wireframe software to inspire your followers. Feel free to click on any of these images or the text below to check out more related templates.